Take advantage of Early Bird pricing. Get your tickets now! 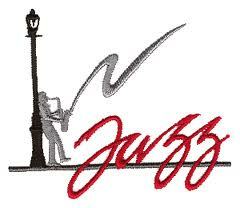 Enjoy the Seventh annual Hot Jazz Jubilee as one of our Preferred Patrons. Our Patrons receive an All Events badge with a special ribbon designed for this annual event. You'll receive preferred seating in the first few rows of each venue, your name listed in our Official Program on the sponsors page and a seat at our Special Patrons meal. Badge and Patron requests can be made by mailing your information along with a check made payable to: Hot Jazz Jubilee and send to: 5150 Fair Oaks Bl. #101-252, Carmichael, CA 95608. A postcard will be mailed back to you as a confirmation of you order. ALL BADGES will be available for pick up at the Hot Jazz Jubilee badge sales table starting at 5 pm on Thursday, August 29 and continuing through the weekend.